The European Commission is providing the means to continue with the EFP the important networking activities of foresight initiatives in Europe and beyond under the 7th framework programme of Socio-economic Sciences & Humanities. The Coordination and Support Action “EFP European Foresight Platform – supporting forward looking decision making” aims at consolidating the information and knowledge base on foresight in Europe and internationally. It reinforces foresight actions initiated under the 6th Framework Programme, in particular EFMN and ForLearn. By building on and integrating these two lines of activities, and by expanding their scope to cover also currently ongoing foresight actions of FP 7, as well as at national and international level, a unique knowledge hub for foresight-related information will be created to facilitate European foresight and forward looking exercises. The ultimate purpose of EFP is to better exploit foresight as a resource to support policy-making. The knowledge hub will be used in a series of national and European policy workshops, geared towards major future challenges to Europe. 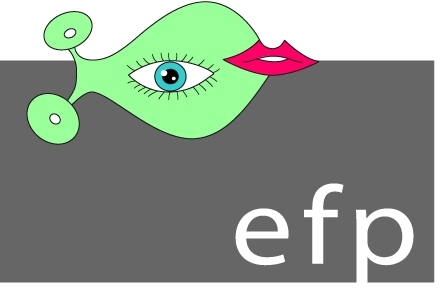 The EFP has released a number of publications, including policy briefs and newsletters. You can also find information about the EFP in the flyers and get an impression of the consortium members (The Austrian Institute of Technology (AIT), the Institute for Prospective Technological Studies (IPTS), the Manchester Institute of Innovation Research (MIOIR) and the Netherlands Organisation for Applied Scientific Research (TNO)). If you are a foresight practitioner or are interested in foresight you can become a member of our community. You can also write Susanne Giesecke to learn more about the activities and how you can contribute and be an active part of the network. See also: Cordis SSH and Europa SSH. Legal Notice: The views expressed in this website are the sole responsibility of the authors and do not necessarily reflect the views of the European Commission.